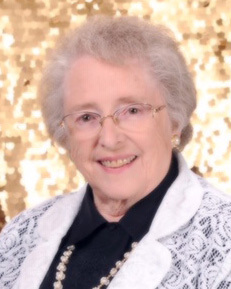 Marilyn Oliver Fowler passed away Sunday November 25, 2018. Born June 18, 1932 in Salt Lake City, Utah to Joseph Leo and Mildred Neeley Oliver, she was a child of the Great Depression and a teenager during World War II. Her father was a traveling salesman, so Marilyn spent her growing up years with three doting women: her mother, her grandmother, and her aunt Helen, whom she nicknamed Lalla. Her childhood home was an old mansion on 400 East with a screen porch for her year-round sleeping. She always loved fresh air at night. 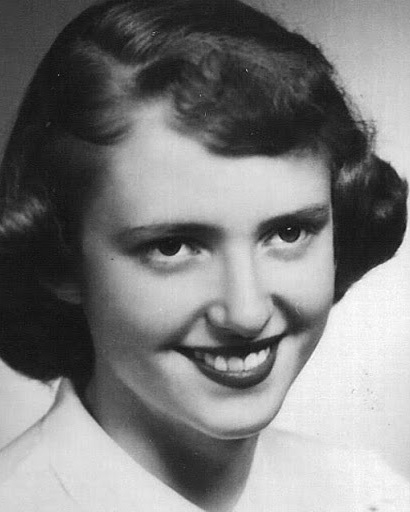 At age 20, Marilyn married Delbert Hugh Fowler, a navy veteran who made use of the GI bill to attend university and become a teacher. During their marriage, he earned advanced degrees, and moved into administration in the Salt Lake City School District; he was Principal at West and then Highland High School. In addition to supporting their own children’s many activities, their social lives revolved around attending every high school event. Marilyn earned a college degree in Home Economics and taught one year at Olympus High School before she and Del started their family. They purchased a new home on Gregson Avenue, where she lived for 60 years. Marilyn was an excellent cook and hosted many large family dinners. She was famous for her Swedish tea rings, scones, and homemade raspberry jam. Her husband loved the outdoors, and with their family, Marilyn and Del regularly traveled across the country and around Utah. All of their children share wonderful memories of camping trips. In later years, Marilyn and Del started going on cruises, and family trips to Alaska and the Caribbean followed. Like her mother, Marilyn loved writing and researching family history. She was on the writing staffs at South High School and the University of Utah Chronicle, and she started her own family newsletter: the Fowler Family Frolics. She also kept a travel journal when the family camped in the Blue Goose or the White Swan (the family’s trailers). Marilyn and Del were devoted members of the LDS Church. Over the years, Marilyn held many leadership positions, and together they served a mission in Bulgaria, teaching immersion English in a technical school, and then assisting in opening the Bulgarian mission. Marilyn was a great conversationalist. After family feasts, everyone was accustomed to remaining at the table and continuing conversations. Del preceded her in death by 11 years, and she once commented that most of all she missed his company. Marilyn was good company too, and we already miss her, so much. Preceded in death by her husband Del Fowler, her brothers Lee Oliver and Brent Oliver. Survived by her 5 children: Dan Fowler (Jan), Paula Fowler, Dianne Wiscomb (Steve), David Fowler (Lisa), and Leslie Fowler (Mike Hackerott); as well as 11 grandchildren and 9 great-grandchildren.